Here I am again with another A-England polish! This is King Arthur! 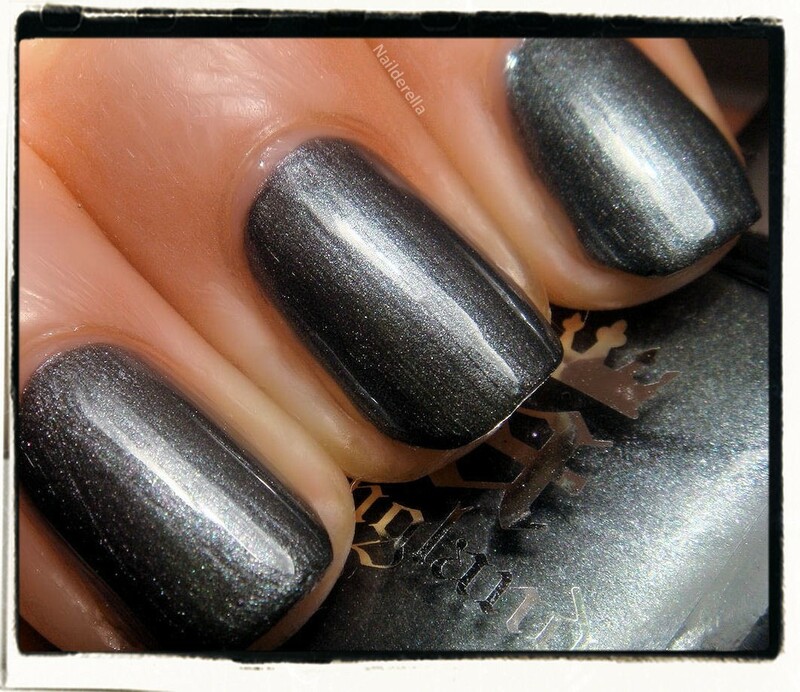 King Arthur is described by A-England as "tungsten, steel gray with subtle diamond shimmer". You can see here the subtle shimmer in King Arthur! Final vedict: Once again, I'm thrilled by the gorgeousness of A-England polishes. King Arthur is a stunning grey-silver polish but not the kind of cold silver that we are normally used to. It's a warm dark grey which really reminds me of a knight armor, i.e. really strong and powerful. Moreover, there is a special shimmer in it, a pink, blue and green shimmer! You can see it on the last picture. It's not so obvious, so don't expect to see much pink/blue/green on your nails but I think it gives a nice and subtle touch to the grey base. Application was also great. I used 2 coats here as the polish is naturally quite opaque. Don't forget there is currently a promotion on King Arthur until 25th November.